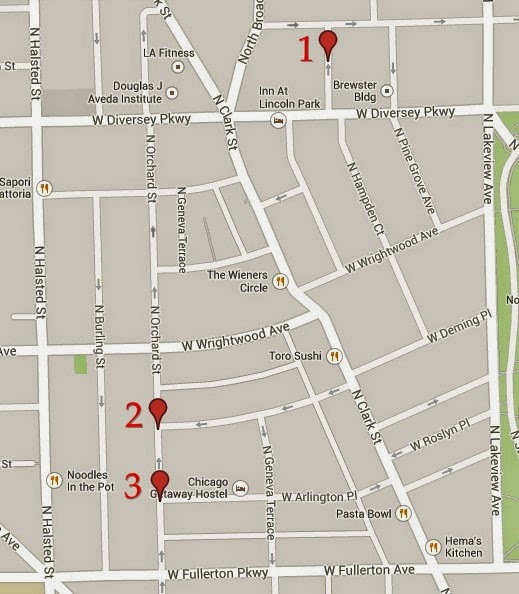 Police have responded to at least three cases of people being beaten by groups of 4 to 8 attackers near Clark Street from Diversey to Fullerton since Thursday. The incidents are unusual in that no one has apparently been robbed in connection with the physical attacks. No one is in custody. A burst of 911 calls came in between 11:15 and 11:45 Thursday night. Callers reported seeing individuals being attacked by anywhere from 4 to 8 attackers. CWB has confirmed at least two incidents. • About 10 minutes later, multiple callers reported a "street fight" in which four to six men were beating on one victim at the intersection of Orchard and Deming, about a half-mile from the previous incident. Due to the large volume of calls reporting incidents in the concentrated area, it is not clear if there were additional incidents Thursday night. Then, at 3:17 this morning, a 911 caller reported that 4 to 5 Hispanic men beat him and his friend at Orchard and Arlington, one block from Thursday's second incident. The offenders fled on foot.